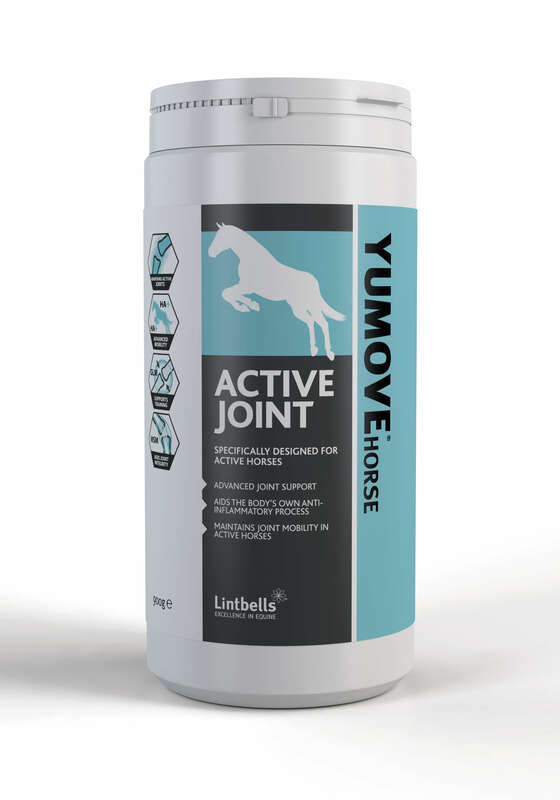 Yumove Horse Active Joint contains the highest levels of the best quality ingredients, to give your active horse's joints the support they need. It will boost mobility, support the structure of healthy joints, relieve stiff joints & improve comfort. 3. Hyaluronic Acid (HA), which is a key component of synovial (joint) fluid. Synovial fluid provides cushioning & lubrication in joints during movement. The amount of Green Lipped Mussels & Hyaluronic Acid is higher in Yumove Horse Active joint, compared to Yumove Horse Joint. This is to give even more support to horses who are doing regular rigorous exercise & putting more strain on their joints.